Neotab is a free service that shows you how to go completely paperless in your school endeavors. See what Neotab can do for you! Our system has the capacity to store years of papers onto just one iPad. Say goodbye to unorganized binders, crumpled up papers, frequent locker stops, and heavy book-bags. Not only will you never lose or ruin another paper again, but you can neatly keep them with you through all of your years as a student. As long as your iPad has a camera, you're good to go! The constant updating of software and apps allows for years of use without the need to buy a new device. With models from as low as $269, there couldn't be a better example of a smart investment. The opportunities pencils and paper bring are about the same as they were fifty years ago. iPads however, offer cutting edge technologies and apps that constantly evolve and improve to make you as productive as possible. Here at Neotab, we believe your dreams and ambitions shouldn't be confined to what can be done on a sheet of paper. With Neotab, you never actually collect any paper. The paper you'd get is kept by your teachers to give to other students, thus eliminating the need to print hundreds, even thousands of sheets of paper a year. Just from you alone. Step 1: Press the "Enroll" button at the top of this page to sign up for Neotab. This is completely FREE, and is for the main purpose of us keeping tabs on who is using Neotab, so we can further improve our methods. Step 2: Go on your iPad, and download Scanner Pro, and Notability. Step 3: Open Scanner Pro, and follow the step-by-step instructions on how to scan on our "Scanning" page. 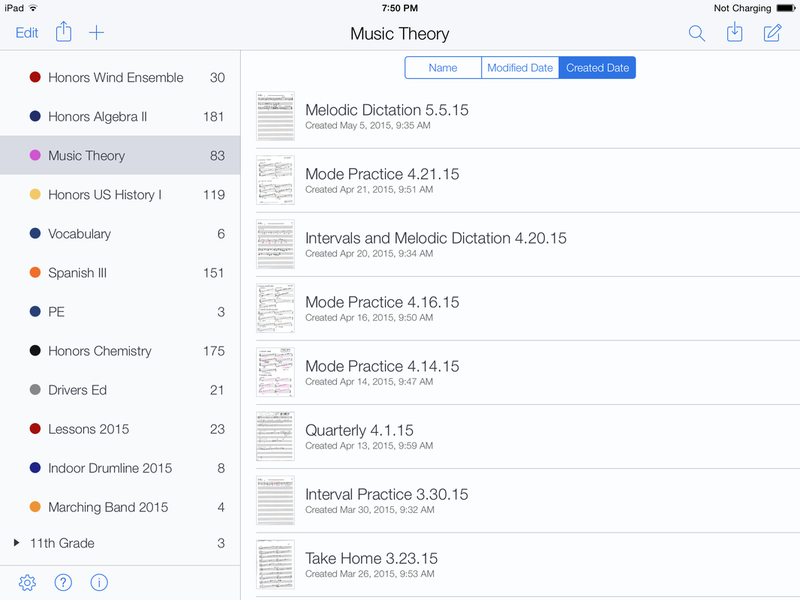 Step 4: Open Notability, and organize, annotate, share, print, and type on your documents as you please. You can use our "Notability" page as a reference for any common questions on using the apps features. Step 5: Visit our "Essentials" page and check out our approved list of apps and products. Check out things such as studying apps, styluses, screen protectors, and more!